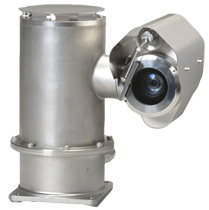 The FC33 Pan Tilt Zoom CCTV Color Camera uses high-resolution FULL HD IP, and diecasting SUS 316L stainless steel body with excellent strength and corrosion resistance, and is the industry's top class compact size, allowing space-saving, and power-saving. FC33 Full HD IP type is equipped with a high-performance camera that combines 1920 x 1080 pixels, 30 optics, and 12 digital zoom, high sensitivity, high magnification, and high resolution. It can be easily connected to IP network. Fieldeye II FC33E camera and its Junction Box is compiled to IECEx/ATEX Ex db llC T5 Gb, and Ex tb lllC T100 C Db. Fieldeye ll FC33E camera is 30-50% smaller and lighter than other makes. Installation is easy and low cost since it does not involve strong structural poles and big camera footprint. Fieldeye II FC33E camera is monolithic constructed from solid Die Casted SS316L metal with electrolytic polishing. There is no welding joint on the unit. This superior robust construction protects unit from harsh environment attack for a long time. FC33E Fieldeye II camera is complying to ONVIF Profile S protocol. It supports connectivity to many major Video Management Systems. Pls. approach our Sales to check whether your Video Management System is compatible to FC33E camera. 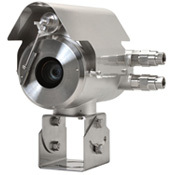 April 01, 2019 FC33 Pan Tilt Zoom CCTV Color Camera was added. Nearly 1000 FOUNDATION fieldbus devices were connected to the CENTUM CS 3000. PRM provides a single window interface to all FOUNDATION fieldbus and HART devices and this gives maintenance personnel quick access.